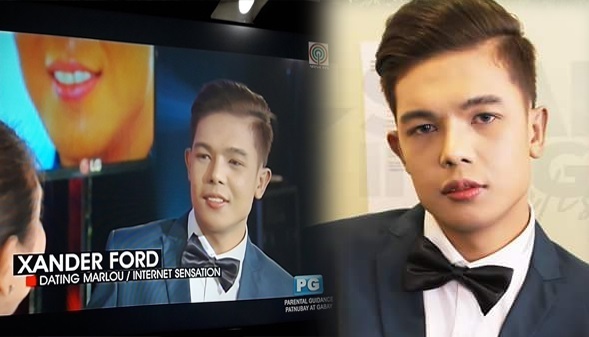 Former Hash5 member Marlou Arizala, who's now known as Xander Ford, showed off his new face after successful surgical operation. Xander, who underwent nose lift and chin augmentation surgeries, showed the results on Rated K tonight, October 1. As seen in the revelation, he even underwent eyebrow tattooing, pimple marks removal treatment and application of ceramic veeners to enhance the look of his smile. "Oh, the Old Marlou can't come to the phone right now. Why? Oh, cause he's dead." Xander went under the knife at the Marikina Doctors Hospital and Medical Center last September 4.